Week 1 is in the books and wow was it exciting. Aaron Rodgers being carted off only to return after halftime and overcome a 20 point deficit pretty much sums up the week. 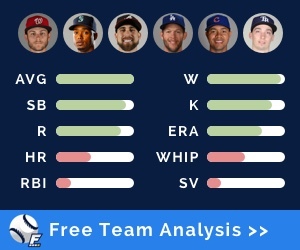 So you lost some players to injury or you added some gems off the waiver wire? Either way, Week 2 will present some tough roster decisions. 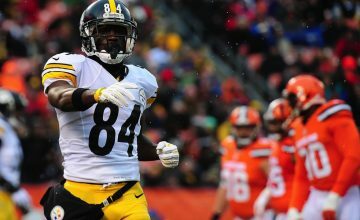 To help with those questions here is the 2018 Fantasy Football Week 2 Start-Sit article. Tyrod was solid last week against the Steelers, putting up 22 Fantasy points. Now he gets the Saints who were just torched by Ryan Fitzpatrick, who beat the Saints while posting 41 Fantasy points. The Saints are supposed to have a solid defense, but are they reverting back to their usual lackluster ways? Either way, Taylor’s rushing floor makes for an incredible play with an incredible ceiling. McCoy and the Bills looked horrendous against one of the league’s best defenses last week. Better weeks are to come for McCoy who should see more volume, especially if the Bills don’t let the game get out of hand to quick, as they did against the Ravens. Josh Allen will likely start at quarterback, and McCoy should have a rebound game against the Chargers. Robinson didn’t do much in Week 1 as the Bears led for essentially the entire game. He did have a spectacular catch at one point but overall the Bears leaned heavily on the run to try and milk the clock. Robinson now gets a matchup against the Seahawks who allow the fourth most Fantasy points to wide receivers this year, as of Sunday night, after being torched by Denver receivers. Cook exploded Monday night for nine receptions and 180 yards. He was easily Derek Carr’s favorite target. Now Cook goes up against a Denver defense that has been vulnerable to tight ends and just let rookie Will Dissly torch them for 105 yards and a touchdown. Cook makes for a solid start this week at the tight end position. Luck was solid in his first regular season game in over a year. He threw for over 300 yards and two touchdowns, but he did throw an interception. Up next Luck will face the Redskins who’s defense looked solid in Week 1 as they allow the second fewest points to opposing quarterbacks as of the Sunday night games. Look elsewhere this week. Lynch was vintage beast mode in the first half of Monday Night Football. He had 11 carries for 41 yards and a touchdown in which he carried the entire Rams defense for five yards into the end-zone. Unfortunately Lynch now goes up against the Denver defense that is very stout against the run. The Raiders also seem to lean heavily on Jalen Richard when they are trailing, something I expect the Raiders to do in this game. Lynch is worth sit consideration. Cooks had a solid debut for the Rams, hauling in five receptions for 87 yards on eight targets. 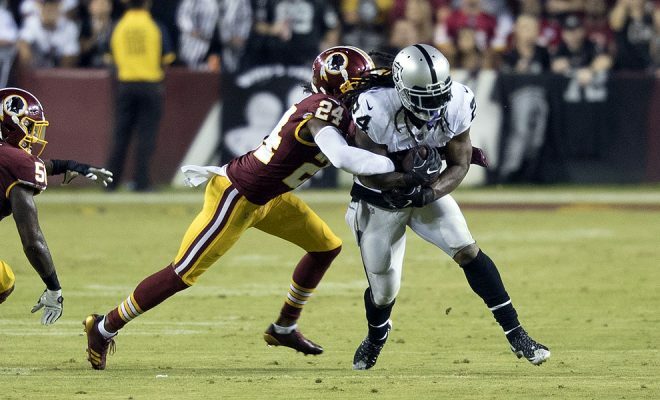 He also forced several pass interference calls on the Raiders’ defense. For Week 2, Cooks can be safely sat. Goff likes to spread the ball around to everyone and Cooks will be facing tough coverage from the Cardinals’ defense that allows the fourth fewest points to opposing wide receivers. The Falcons offense looked mediocre in Week 1 with Julio Jones being the only real threat in the passing game. There are high expectations for Hooper this year but a match-up against the Panthers, who allow the third fewest points to opposing tight ends, as of Sunday night, will keep Hooper worthy of riding the virtual bench. 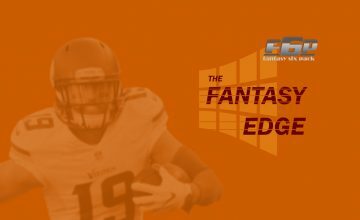 Next Story → 2018 Fantasy Football Week 2 Preview: When Dak?